hill country sanctuary, blanco, texas. 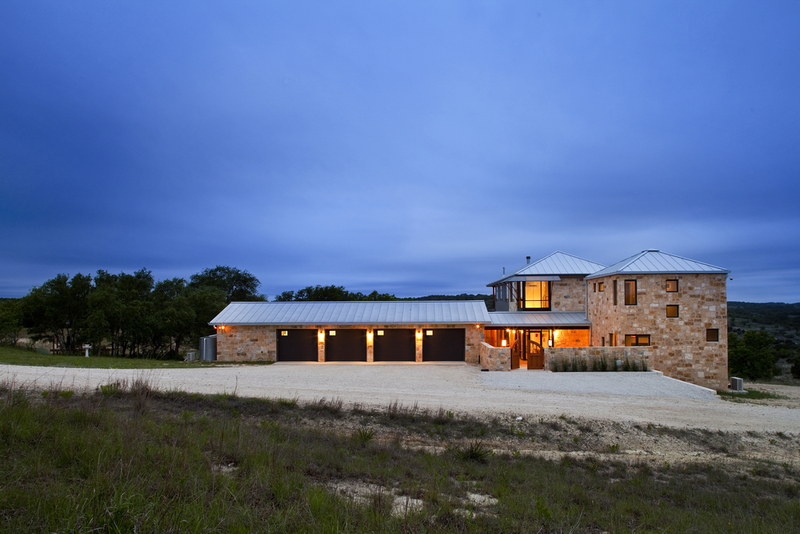 Located on 26 acres in the Texas Hill Country near Blanco, this 3800 S.F. house is sited to take advantage of both near and distant views. The L shaped plan opens up to the south and east, forming a courtyard garden and responding to the predominate South East breezes. Thick stone walls and properly shaded fenestration moderate heat gain. The very eclectic interior responds to the owner's artistic sensibilities.